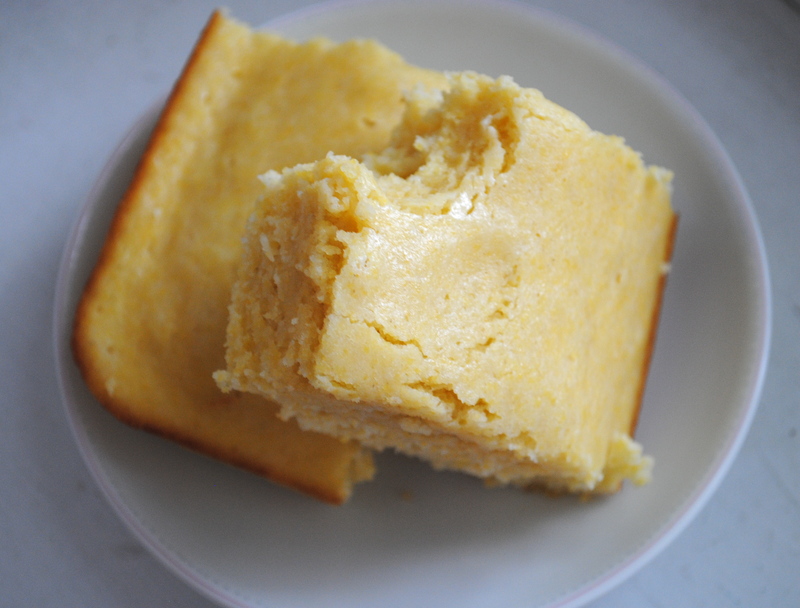 There’s nothing better than homemade cornbread. With typically Boston gray, rainy, muggy weather, I needed a fix. A Presto Chango Cardigan for Dawn’s new bundle, in a gorgeous Alpaca wool in a turquoise blue. This is the third Presto I’ve made–I think the fully removable front panel is perfect for a Mum struggling with many over the head clothes. 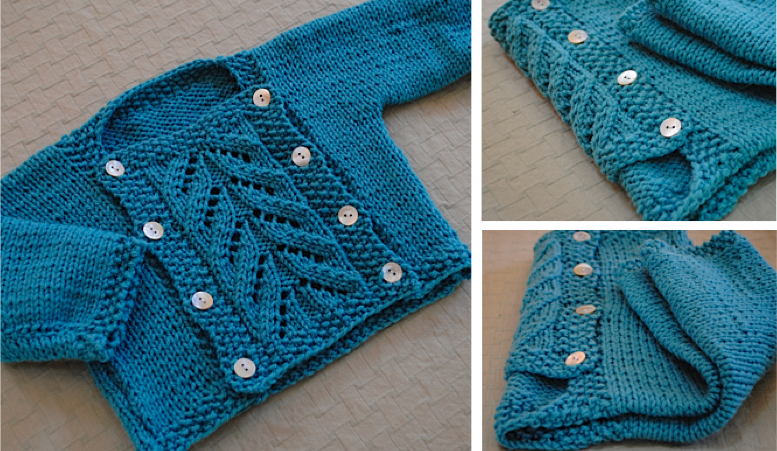 If you’re looking for a baby knit that looks fancier than the work it takes, look no further. A former co-worker and friend from my reporting days had her first baby this past week. She will be the best mum to that little girl, I know it. And she deserves the world–so I knit her up a Presto Chango cardigan in a beautiful turquoise (like the sea, since Dawn is a California girl now living in the mountains) and the above pair of felted “Ugg-inspired” boots. 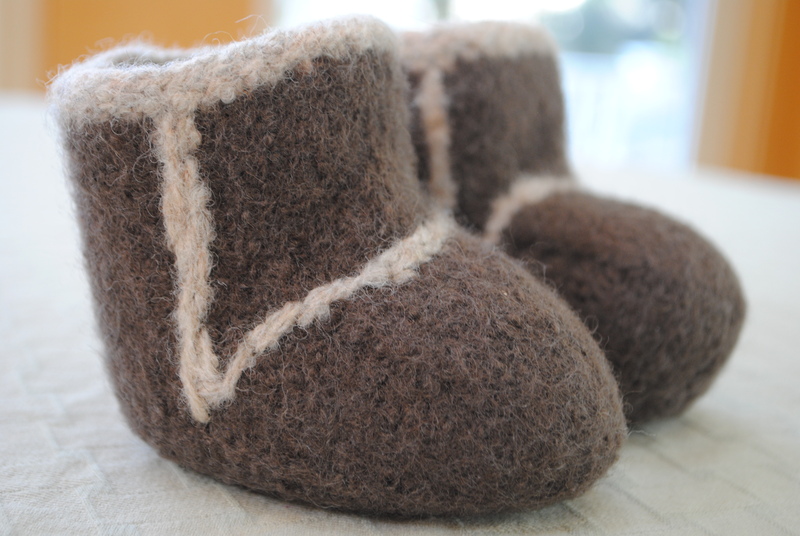 While I’m not a fan of these boots on adults (its like going outdoors in your slippers in my humble opinion), they will look so cute on baby Mcknna–and perfect for the snowy first winter she’s sure to have ahead. Snaps of the Presto to come. 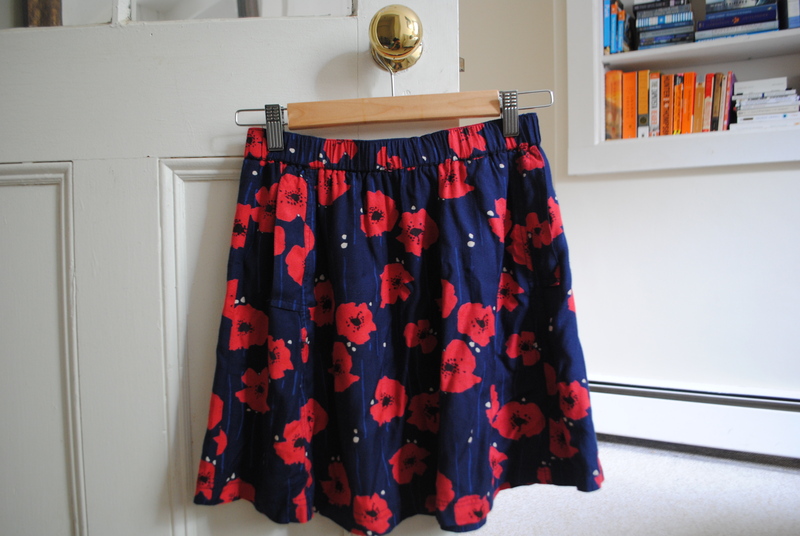 I adore Cooperative skirts. I’ve got them in solid colors, as well as cheeky patterns like poppies and weeds. These are a staple in my wardrobe. Soon, I’ll have to wear them with tights, which isn’t as fun. My father died when I was 16; he was one of the most dapper men I’ve ever met and fancied his things nice. 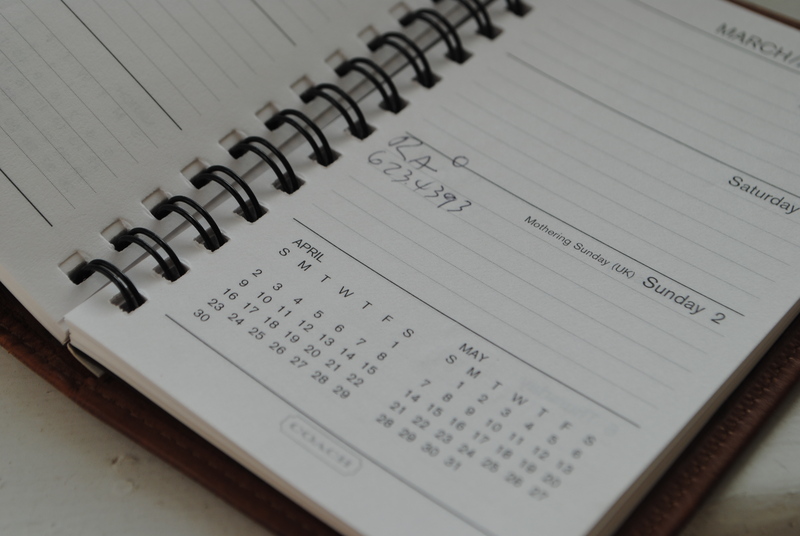 One of the items I inherited was a gorgeous, soft as butter, vintage leather Coach day planner, which he carried around to keep track of things. It’s been 10 years since he passed and I still carry this in my purse or bag. I don’t use it, even though you can get replacement fill ins. Instead, I like to look at the little scribbles he put in it, and I swear, if I breathe in hard enough, I can still smell him in the pages. 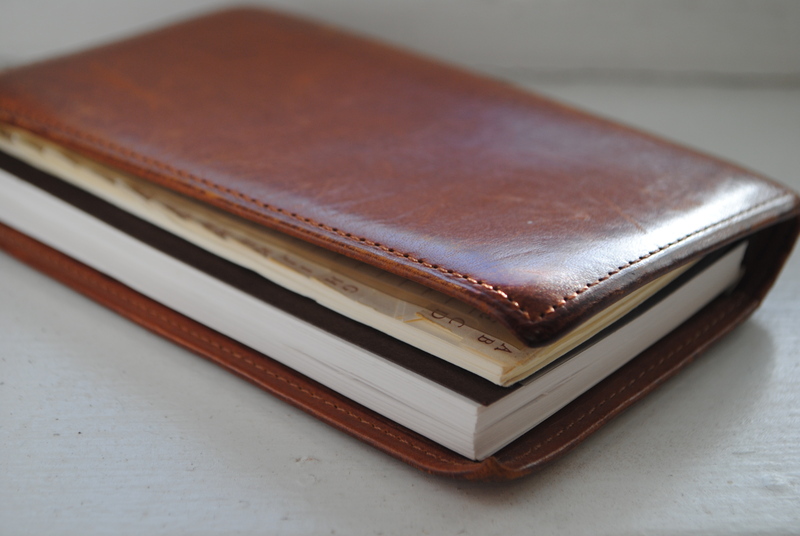 I like to think I get a lot of my swagger from him, so I’ve decided to introduce you to those things that have inspired my style–like, for instance, this little book and its influence on my refusal to save numbers in my phone, instead opting to scratch them in a little book, just as he did. Oh, and you can see snaps of ere pa (and ma) here. 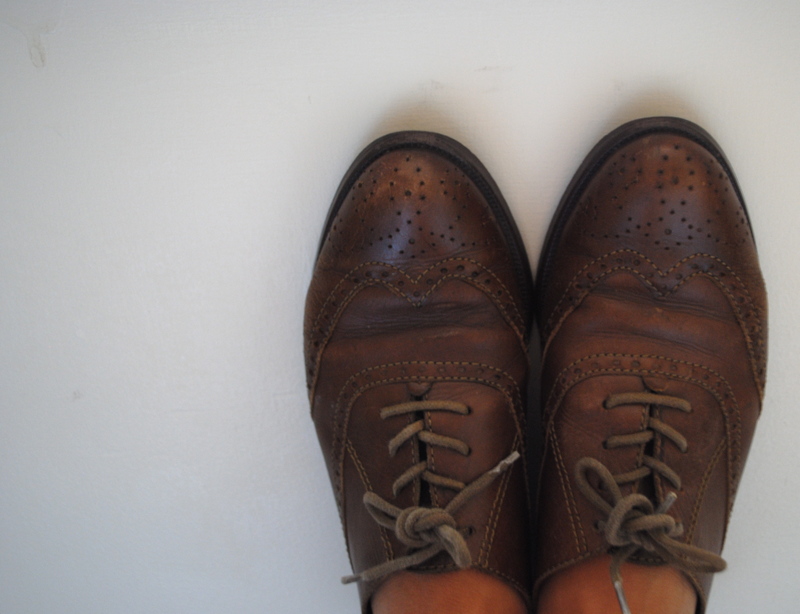 I’ve been a fan of wingtip oxfords for a long time. Apparently, this season they are all the rage. 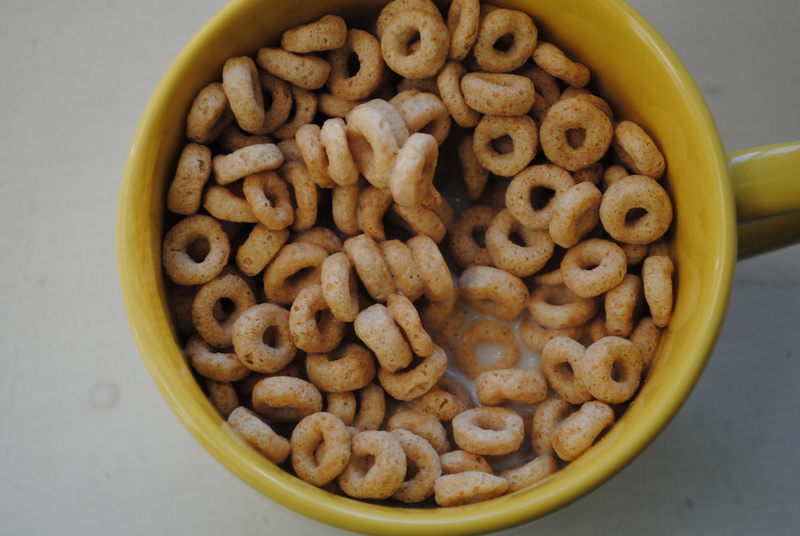 But, it’s fall, the kids are back and school, and that means whipping out the laceups again as the weather chills. These ones are vintage and definitely my favorite pair. A little sampler of The Sanguine Gryphon’s organic Dk wool–called Free Range–that was included in my package along with the recently acquired Skinny Bugga. It’s so gorgeous; definitely want to knit up an Owls sweater in this yarn but will it break the bank? Not sure what I’ll do with this small sample; I have a knitter who wants to work on a “Tiny” series–this would work great for her, so off it will go. She deserves something fancy, too. 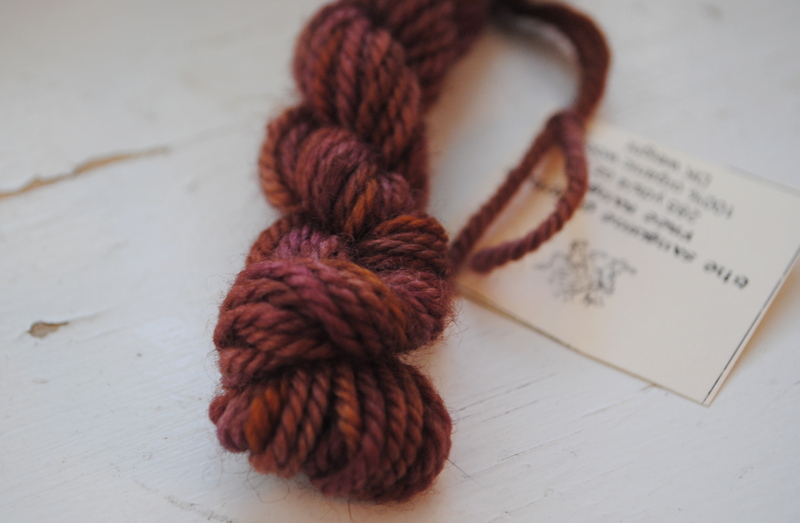 Seriously now, The Sanguine Gryphon makes the most gorgeous yarns. 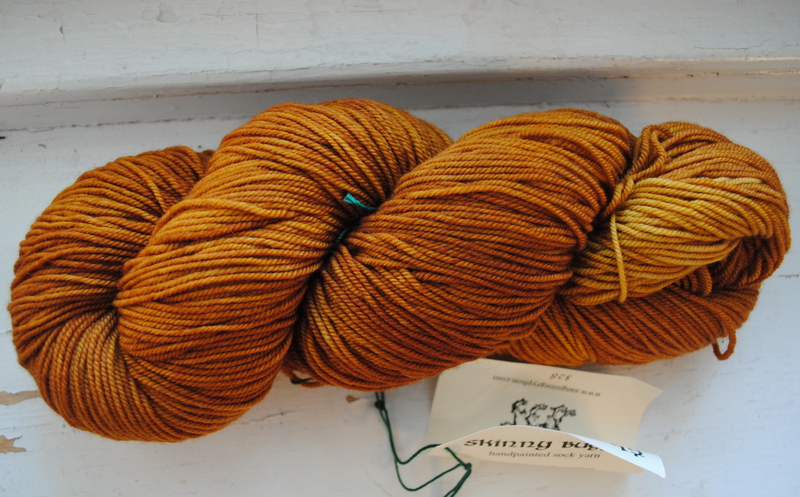 This absolutely drool-worthy skein of their Skinny Bugga! came through my mail slot just last night. Hands down, this has to be one of my most favorite yarns to work with; its so vibrant despite the subtle color changes and its soft as butter. Yesterday was my birthday; I’m not big on them–it’s nice to let them pass quietly. But, this unexpected gift came courtesy of my beloved Mum, who thought this would aid in all the bread baking, tarts, and cookies I tend to whip up on a whim. 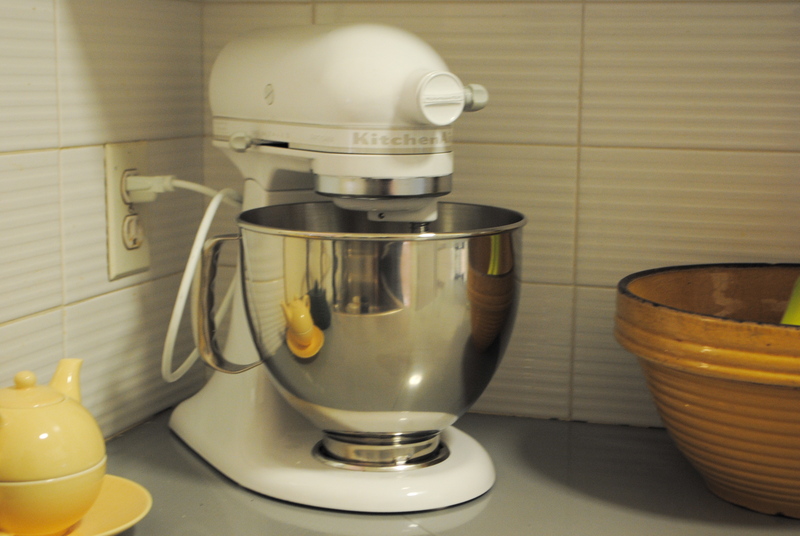 This is truly one of those gifts you had no idea was coming, which makes it that much sweeter, just like all the things I will mix and make in this here appliance. Squal with delight. Isn’t she an absolute beaut?! 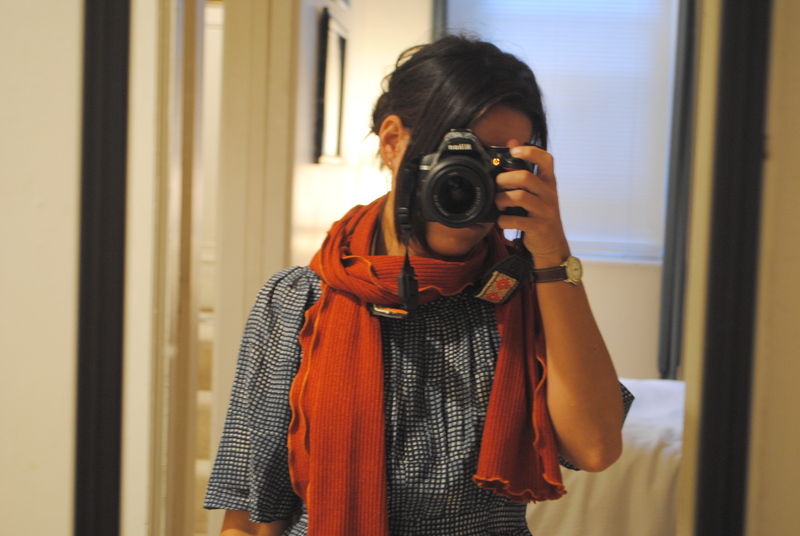 My new Pumpkin Spice Ruffle Scarf from Janny’s Girl. Super soft and I love the subtle ribbing of the fabric. I’m so in love with this one, I’m thinking about purchasing another because as fall hits, you can never have too many scarves. I pretty much buy exclusively on etsy now; not only do I adore supporting my fellow handmakers, but there’s something so incredible about not only purchasing something you wanted badly (and can’t find in regular shops) but also receiving a hand written note and discount card from the proprietor herself! 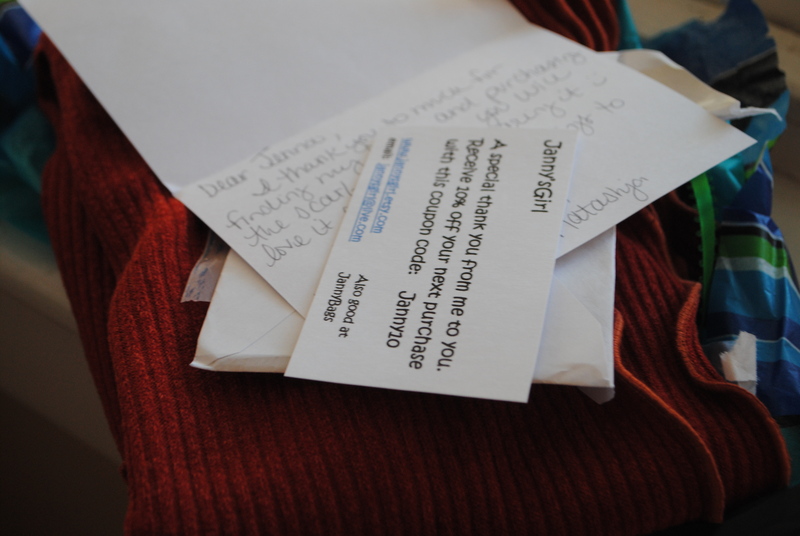 This one comes courtesy Janny’s Girl, where I purchased a gorgeous pumpkin ruffle scarf.